Doubling the numbers of toilets in slum areas can reduce sexual violence against women by almost a third, researchers have found – and now they want to prove their theory. This is what is wrong with modern science: a theory in search of evidence. By mid-century, the world needs to be removing about 10 billion metric tons of carbon dioxide out of the air each year. Scientists have in recent years increasingly been publishing headline-grabbing studies that predict the demise of people’s favorite products as part of a strategy to get the public riled up about global warming. “If the tropical forests go it will be yet another catastrophic failure of the whole Earth system, that will feed back on human beings in an almost unimaginable way,” said Brian Lister, a biologist at Rensselaer Polytechnic Institute in New York. Science will be more productive with a government mandated quota system. A physics professor who blamed “cultural Marxism” for punishing scientists if they challenge the idea that “microaggressions,” “gaslighting,” and “mansplaining” are preventing women from succeeding in STEM has been suspended and is under an ethics investigation. Anyone with an ounce of common sense, two eyes, and a grasp of history understands instinctively that most genetic traits are inheritable. Height, body type, skin color, even eye color run in genetically related families, and those families, bound together in local, tribal, ethnic, and national communities, reflect that. There’s nothing inherently conspiratorial, “racist” or “supremacist” about any of this. And yet, for decades, ideologically driven scientists and cultural Marxist apologists have struggled with such a raw truth, and have endeavored to show that nurture, not nature, is the determining factor, especially when it comes to talents and intelligence. After all, what do human sperm and eggs have to do with the making of the New Soviet Man omelet? This week, scientists announced a breakthrough in the battle to bring the northern white rhino back from the brink of extinction. The last male of the species died earlier this year, reducing the entire population to just two female animals beyond their calf-baring years. But now, cutting edge reproductive and stem cell technology has produced embryos from frozen northern-white sperm and the eggs of the closely related southern white rhino. A study published today in Science indicates that people are indeed living longer and that the maximum lifespan for humans has not yet been reached. 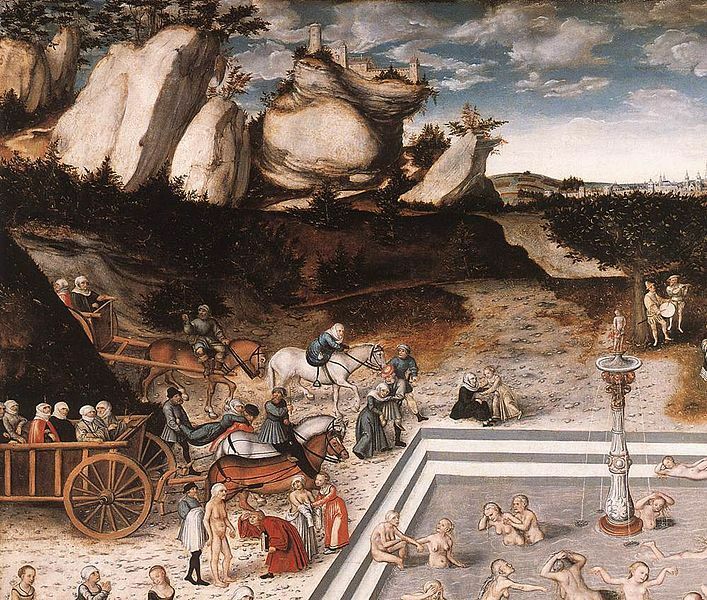 And what they found was that after the age of 105, human mortality seems to hit a plateau. That is, you aren’t any more likely to die at 110 than at 105. It’s a contradictory finding, because mortality ticks steadily upward as we get older at all previous ages. Hit that golden age, a temporal “island of stability” if you will, though, and your odds of surviving stay about the same. A report in 2016 out of the Albert Einstein College of Medicine concluded that maximum human life span was 115 years. People have lived longer; a woman died in France in 1997 at the ripe old age of 122. But those are anomalies. More. The study was published in Science. The authors argued against a limit to the human lifespan. So why would mortality rates level off at such an extreme age? Geneticist Siegfried Hekimi at McGill University in Montreal tells Carl Zimmer at The New York Times that cells in the body accrue damage, which is only partially repaired. (Hekimi was not affiliated with the study.) Over time, all that damage leads to aging of bodily systems and death. It’s possible that these extremely old people age more slowly, and their bodies are able to keep up with the repairs. Jay Olshansky, a bio-demographer at the University of Illinois at Chicago, however, tells Dolgin that an endless plateau doesn’t make sense. Certain cells in the body like neurons, he says, do not replicate. Instead, they simply wither and die, placing a limit on how long humans can live. *Perhaps we can usefully distinguish between a normal human lifespan of 70 to 80 years if all goes well and a maximum human lifespan of around 115-120 years. Because far more human beings than formerly are living out a normal lifespan, more people are available to become centenarians. But transhumanism, the idea that we can use technology to live for centuries, won’t get much support from current longevity data. A new scientific paper published by a researcher with a Ph.D in computational neuroscience, a nanotechnology researcher, and a moral philosopher theorizes that there is a “substantial probability” that outside of Planet Earth, there is no other intelligent life in the observable universe.